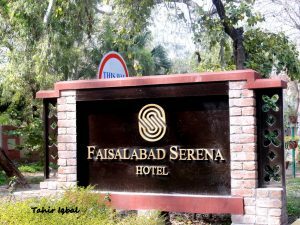 FAISALABAD, JUL 18 (DNA) – Faisalabad Serena Hotel under its Cultural Diplomacy Initiative announced the launch of the first bilingual Faisalabad Creative Writing Competition to harness the energy, creativity and initiative of youth across Pakistan. The theme of the competition is Faisalabad in 2028. Faisalabad is the third-most-populous city in Pakistan, and the second-largest in Punjab. Historically one of the first planned cities within British India, it has long since developed into a cosmopolitan metropolis. The city is also home to a number of educational institutes of renowned repute, including the University of Agriculture, Government College University as well as the Ayub Agricultural Research Institute, the National Textile University and others. Mr. Saqib Ahmed – General Manager Faisalabad Serena Hotel said, “We believe that encouraging the youth to envision the future is critically important to promoting a culture that is forward looking and focused on sustainable development. As we encourage contribution from across the nation, we hope to learn from the young minds and to think about how we can reach the future that they write of”. The best essays will be selected by an eminent jury on the basis of the quality of their arguments and the skill of narration.